This is a letter I recently received from a young woman with interstitial cystitis or spastic bladder. It is a common condition that creates a lot of misery. I don’t have much experience treating patients with this problem, but it’s felt to be one of the symptoms of the Neurophysiologic Disorder (NPD). Sustained levels of stress hormones alter the sensitivity of the bladder and are felt to be the link that creates these chronic meddlesome symptoms. Hi Dr. Hanscom! I don’t know if you remember me. You kindly spoke to me on the phone over the summer. I thought I’d let you know that today I had a HUGE breakthrough and am starting to see what you meant when you talked about kind of being with the pain. My own pain has been due to basically having an autoimmune bladder condition called interstitial cystitis, in which the bladder lining is shot, giving me bladder pain when exposed to certain triggers, combined with candida overgrowth. When I have yeast flares, I get this terrible bladder pain. I went a while controlling the yeast well, but this week it’s been flaring up, along with the anger and the fear associated with it (which I’ve been trying to be very mindful of and not feed it too much). Earlier this evening I decided to welcome the pain. Let it ride this ride with me if it’s going to be there either way. Better than being angry all the time about it. And it almost instantly went away. Later in the evening, I had a banana, which should have given me a lot of pain. And I’ve had none. None! I definitely still have the yeast, I can tell in other ways. But I’m not experiencing any pain right now. My brain is still barely computing this pretty wild and welcome change. This is really amazing! And if it comes back, I might be a little bummed out, but I think I can welcome it again. I wasn’t totally sure it would work for me since I have a pretty apparent physical cause that rises and falls depending on what supplements and foods I ingest. But it did. It still did. Thank you so much for what you’re doing! 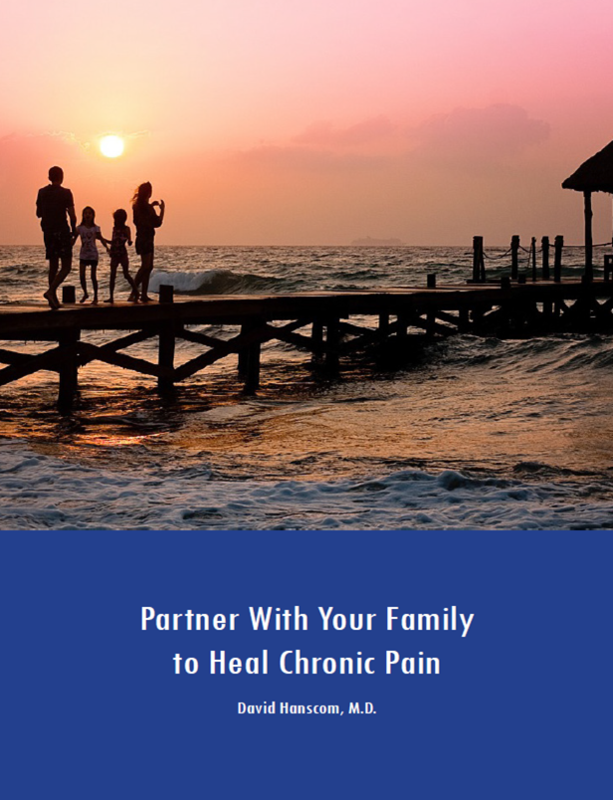 I’ve been recommending your book to anyone I know in chronic pain. This might work for people with interstitial cystitis as well, I’ll try to put it in the Facebook groups. I am pretty blown away! I have been holding Back in Control experiential workshops once or twice a year since 2013 with one of them being at the Omega Institute in Rhinebeck, NY. My co-presenters have included Dr. Bernie Siegel, author of Love, Medicine and Miracles; Dr. Fred Luskin, author of Forgive for Good; Babs Yohai, my wife and professional tap dancer; Jasmine Yohai who is an expressive arts therapist and my daughter. Our next one will be held on June 7-9, 2019 at the Omega Institute. Most of the participants experience a marked improvement in their mood and decrease in pain during the weekend. The key has been creating an environment where people feel safe and are able to share enjoyable experiences. They also aren’t allowed to can’t share their pain or complain. During the first five-day workshop in 2013, one woman was experiencing the need to go to the bathroom every 10 – 30 min throughout the week – until the last two days. She had a marked decrease in her symptoms that lasted for a couple of weeks. Then she became re-immersed in her environmental triggers. I don’t know her long-term outcome, but the key to anyone’s healing is learning to process triggers. It’s not possible or desirable to avoid them. The first thing I tell each group is that, “You aren’t here to get rid of your pain.” Everyone looks at me like I’m out of my mind. They’ve traveled from all over the country because of their wish to be free of pain and this is not what they came to hear. The problem is that if you’re trying to get rid of the pain or solve it, your attention is still on your pain. Since your brain will develop wherever you place its attention and you’ll just reinforce it. The goal is to move forward with life on your terms with or without your pain. Paradoxically, there is a higher chance your pain will be left behind. The weekend is based on the concepts presented in my post, “The Ring of Fire”. We work hard to avoid the red ring of anxiety and frustration by staying busy with accomplishments, achieving prestige, engaging in enjoyable activities – anything to keep us from feeling anxious. It works for a while, but eventually many get worn out and sink into the red ring of anxiety, anger and reactivity. Life becomes a survival existence. The ideal place to be is in the center where it’s quiet, and you can live whatever life you choose. However, every time you enter into the green center, you must pass through the red ring. In other words, you have to train your brain to be less reactive to stress and learn to “be with your pain”. 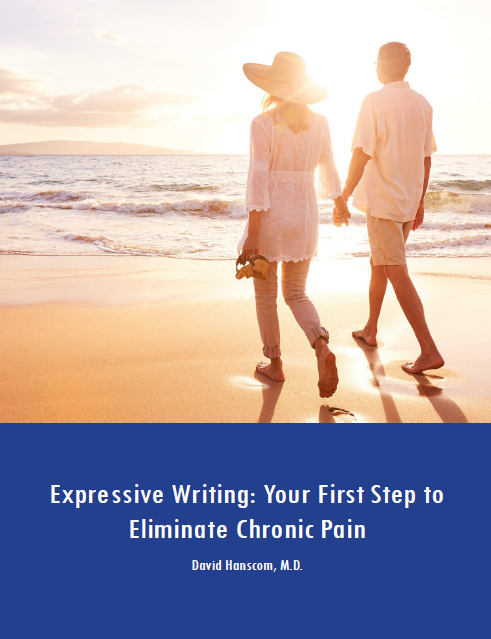 It’s understandable that you would be chronically frustrated being trapped by pain, but this state of mind keeps your adrenaline and other stress hormones elevated, which creates more symptoms to be frustrated about. When I talked to Melinda last summer, she was working hard on learning the concepts, but had a difficult time with the idea that you can’t fix yourself. You have to let go and become an observer of your own healing. You can’t be an observer it you’re being reactive. I am excited about her letter and also know that she will experience many recurrent flares. However, as she learns her own set of skills to process stress and pain, she’ll be triggered less often, and the painful periods will be shorter. Once you’ve tasted this kind of success, your brain will continue to find ways back to it.